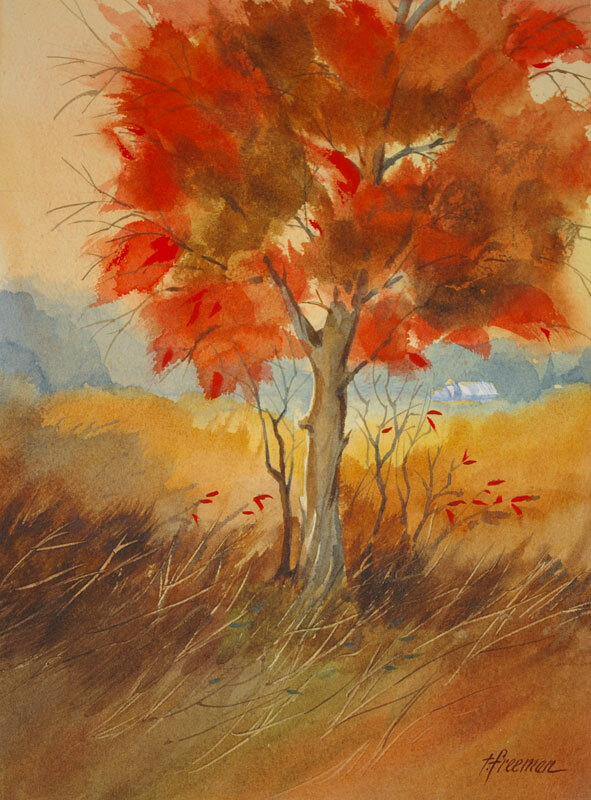 Thomas Freeman Original Watercolor Painting: "Bright Autumn"
This was started by a photo of a green tree which I changed to red. All of the rest is imaginative, with the background painted first and the tree and detail last. I enjoyed turning a dull photo into a colorful painting.